Whenever I speak to election officials and the people who love and/or fund them, I emphasize how little we know about the cost of election administration across the nation. That’s why whenever I find an article that gives any kind of detail on election costs I make sure it gets as much attention as my election-geeky little blog can give it. Before the year is over, the county will spend close to $1 million on the primary and general election cycle. “It basically costs the same whether we have a huge turnout or not,” Fajman said. Costs are relatively static for elections and cannot be reduced just because a low voter turnout is expected. It cost close to $500,000 for the last presidential primary election in 2012 where voter turnout was 60.59 percent. That translates to roughly $2.40 per ballot cast. Of the 348,664 registered voters in Lake County, only 39,179 made it out to the polls election day. Another 5,538 filed absentee ballots and four provisional ballots were counted. Bills so far for the May primary total about $453,300 and a few more are still expected. Cost for Election Day workers at the polls only was about $279,000 for the roughly 2,575 workers. There are 526 precincts in the county. About 20 of those precincts share polling places. Each polling site has up to five workers. That cost for workers does not include the cost for early voting sites. Part-time workers for the satellite voting sites, couriers, counters, phone bank people, scanners, election mechanics and other payroll related expenses came in at about $37,000. Seasonal mechanics cost another $25,000. Another $4,000 was spent on office supplies, though that amount was primarily for extra toner. Paper and other supplies just come out of the department’s regular budget. Fajman said paper alone likely costs more than $4,000 if it were to be counted. Freight costs for moving the voting machines to and from the precincts came in at $34,500. Printing was another $52,300. Required advertising cost $4,000. While the county is able to use government buildings such as schools and municipal buildings free for elections, it still cost $11,000 for property rental for the private facilities that were used as polling places. Mileage costs associated with the election ran $6,500. “I didn’t add in our employees because we are here anyway. I didn’t add in the court reporters, and I didn’t add regular office supplies,” Fajman said. She said it is disheartening to have to spend so much money on an election to have such a dismal voter turnout especially given the cash-strapped nature of the county. Fajman said she wishes voters would understand they are throwing away their tax dollars by not voting. Thanks to Ms. Fajman – and reporter Carrie Napoleon – for this revealing look at election spending! 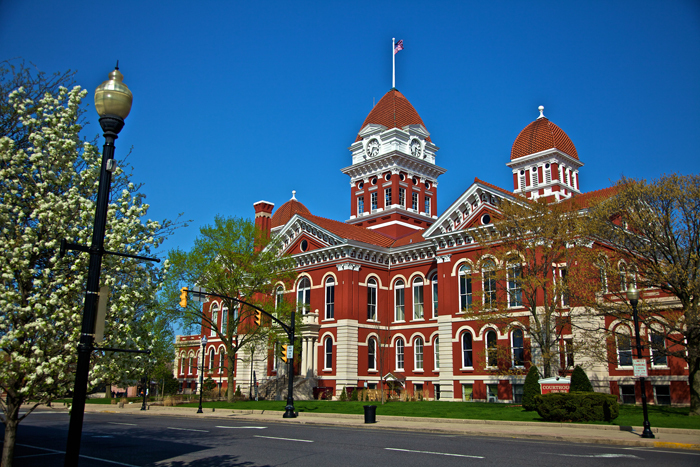 Be the first to comment on "Election Costs Across America: Lake County, Indiana"